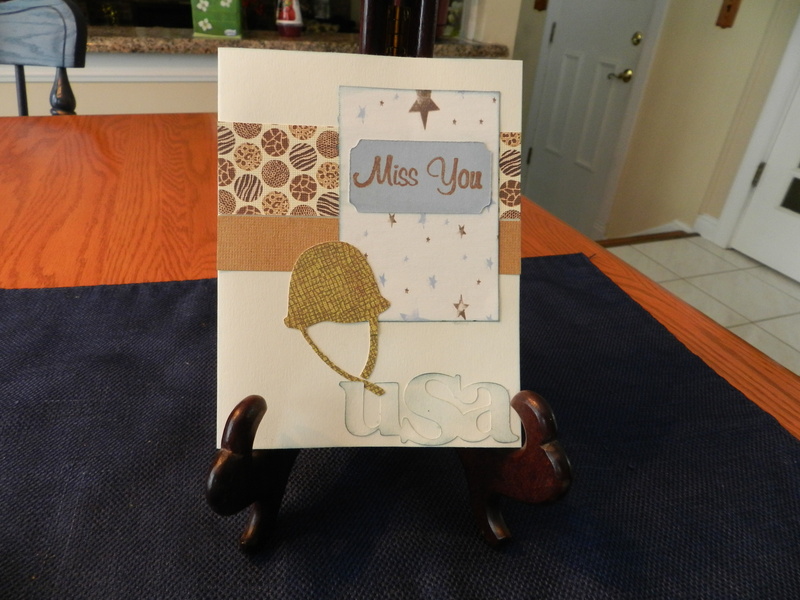 I made this fall card for Operation Write Home VCMP challenge #7. 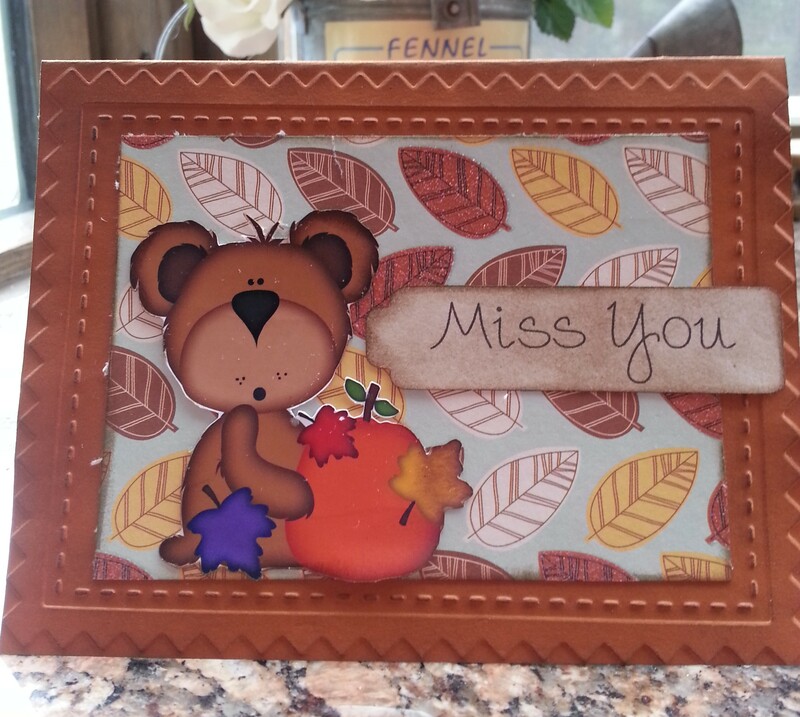 We were to make a card with a fall theme with an I Love You, Miss You or Thinking About You sentiment. I actually made two versions with different papers. The papers were from a pad I bought last year at Michaels. 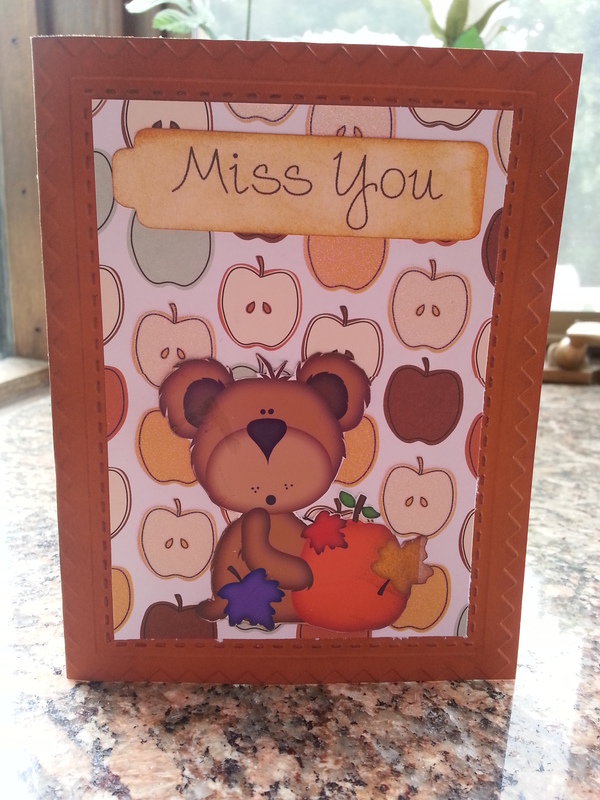 I used the cut and print feature on my silhouette for the cute little bear from KaDoodle Bug Designs. 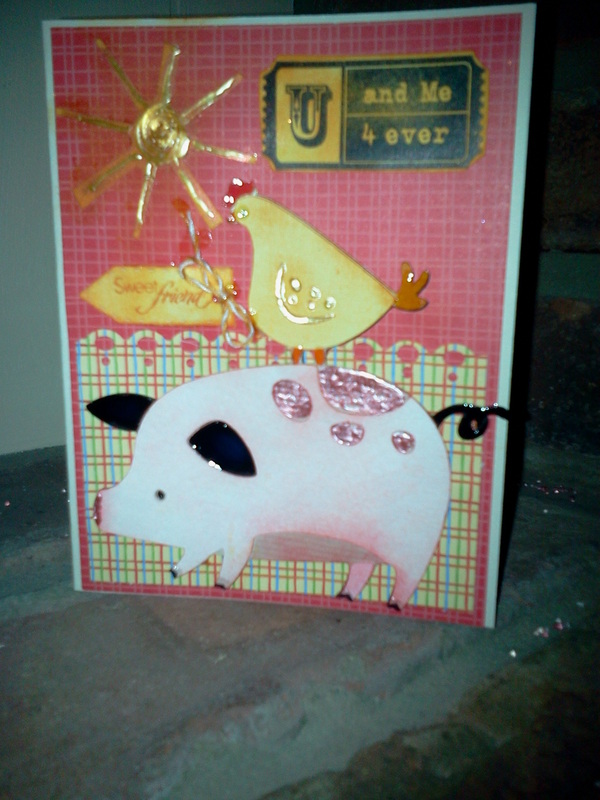 I embossed using the pinking folder from Cuttlebug. 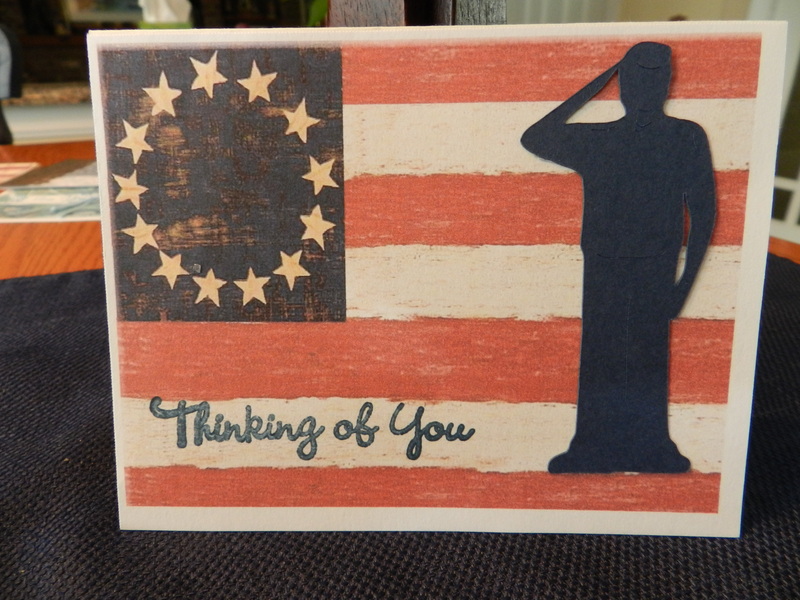 I plan on making a few of these to add to my box of cards for OWH. I hope everyone is having a great week. It is hard to believe October is almost over. 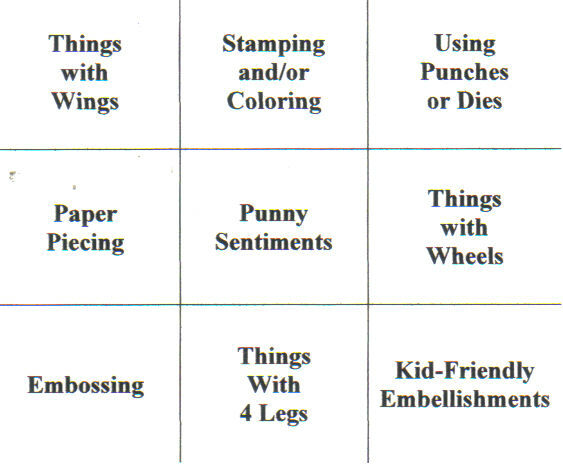 This week OWH has challenged us to make friendship cards for our troops to send home. 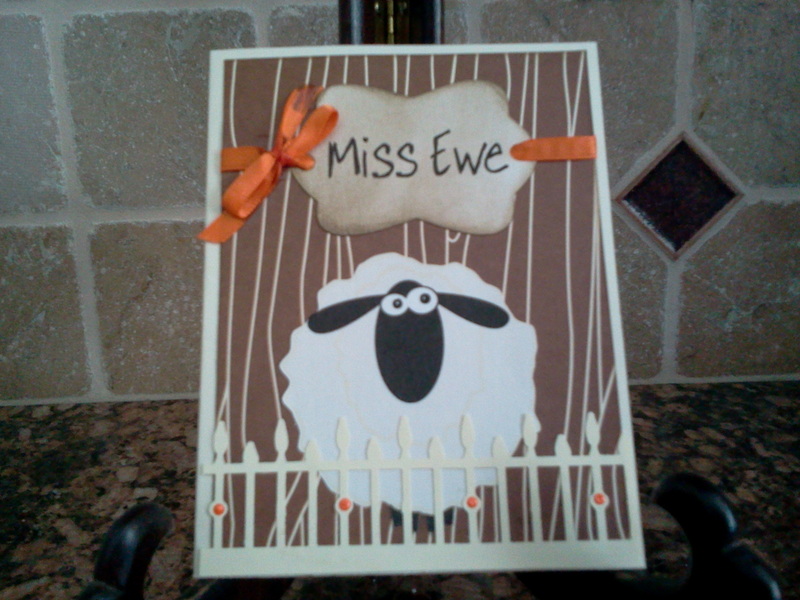 I made this card using the Country Life Cricut cartridge. 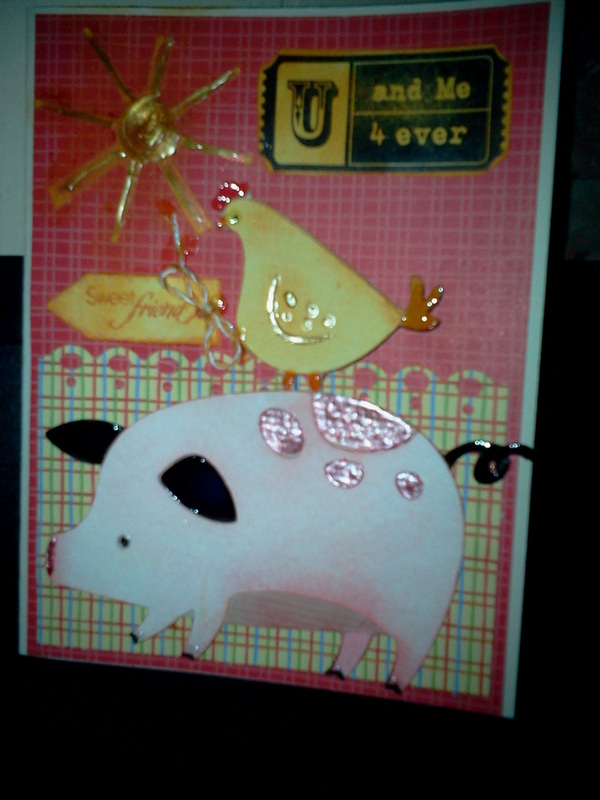 I cut the little pig and hen at 4 inches. I added liquid pearls to the pig , hen and sun for dimension. I also used glossy accents. 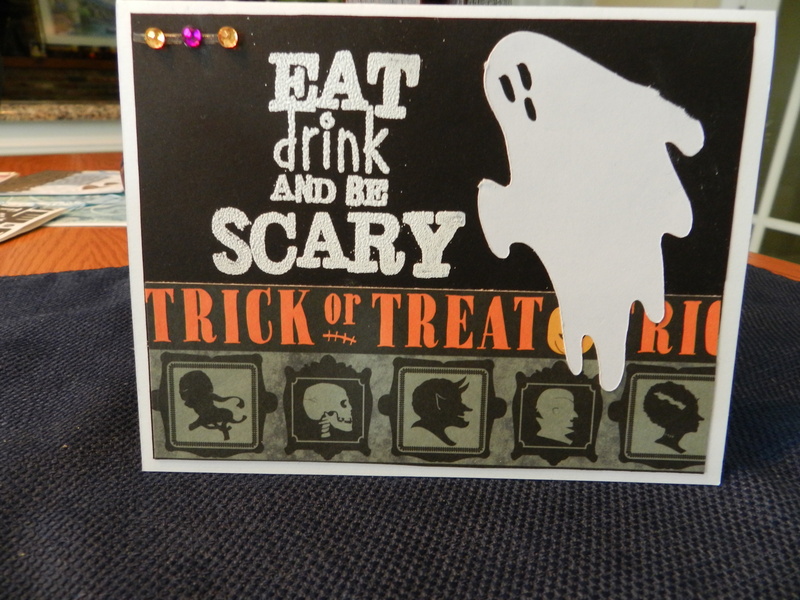 The paper for the background is from the cricut celebrations paper pack. The ticket stamp is a Close to My Heart stamp and the little tag and sentiment is from teeny tag sentiments by My Creative Time. 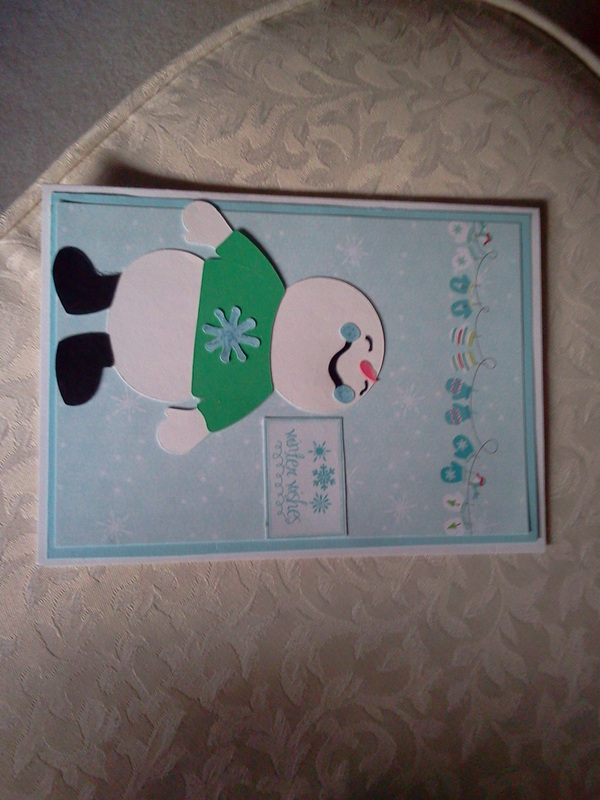 The finished card measures 5.50 by 4.25. I love to get feedback, so please feel free to leave a comment. 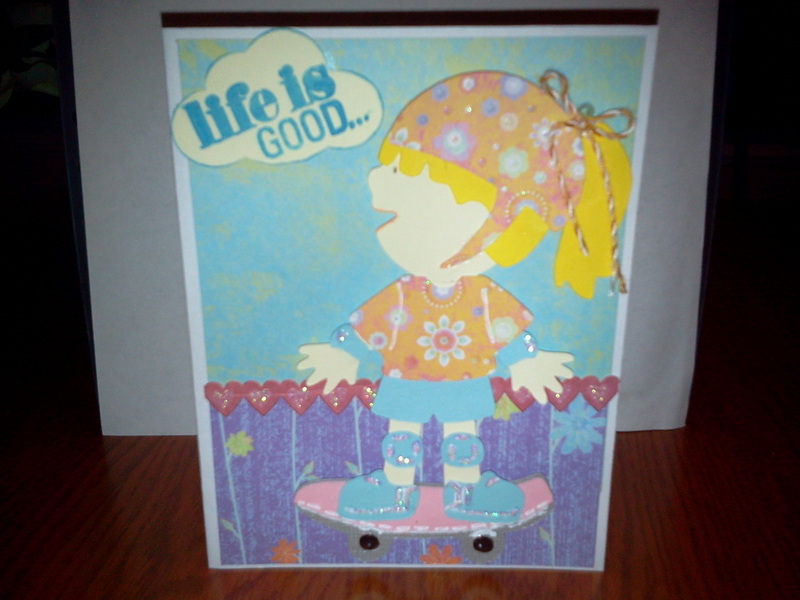 This is a card I made for the OWH sketch 134 challenge. 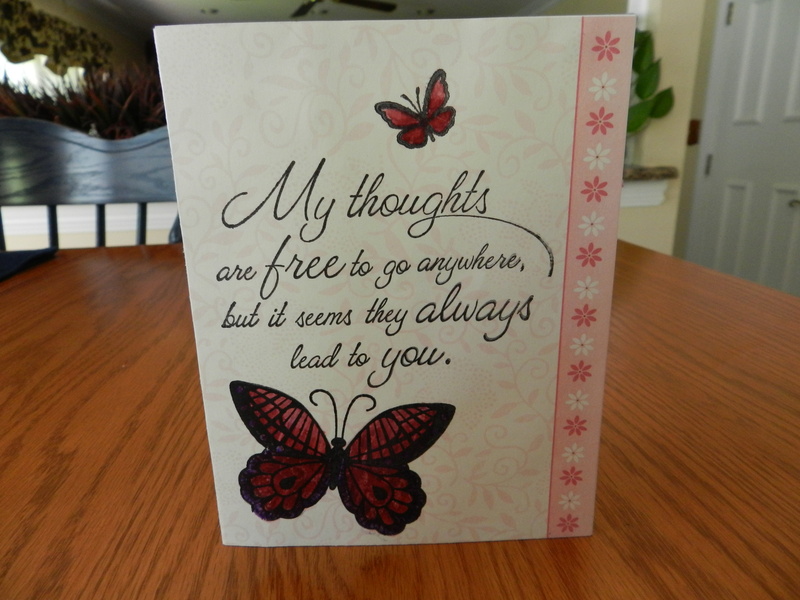 I am putting this card in my box to OWH along with about 60 other cards. Just got back from a wonderful vacation with my children and grandchildren. We all had a blast. I especially enjoyed watching my two granddaughters, aged 2 and 2 1/2, swimming everyday, dancing at night, and just having a grand old time with each other. There is nothing better than family.